Are you a USF student who has been arrested and charged with DUI? 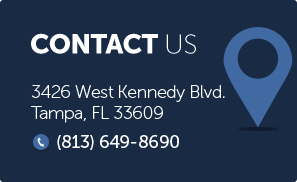 If so you will need a USF dui lawyer to represent you! At Finenbloom, Haenel & Higgins we have dui lawyers in USF areas that can help you through this ordeal and assist you in achieving the most favorable outcome for your particular situation. Although not mandatory, the judge has the discretion of placing you in jail up to six months (nine months if you blow over a .15). You will also face increased costs in insurance rates and you will have to disclose the conviction on college applications, job applications and some financial aid and scholarship applications. A dui charge must also be disclosed on some professional license applications. A dui conviction can keep you from entrance into some college programs such as nursing and engineering. By talking with a USF dui attorney students can discuss the impact this arrest will have on their current situation. If you are a USF college student you may not be 21. If you are not, there are special dui laws that apply directly to you. Any driver under the age of 21 that has a blood alcohol level of .02 or higher will automatically have their Florida driver’s license suspended for 6 months. The .02 limit really means that you cannot have a single drink and drive. This special provision in the law can have a huge impact on your case if you are under 21 or if your arrest was the result of an investigation of a person under 21. The only way you will know for sure if you have any defenses is to speak with a qualified dui attorney in USF that understands the technical aspects of a dui charge. When hiring a dui attorney USF students need to ensure they are hiring the best!! When you are a student there is a lot at stake if convicted. At Finebloom, Haenel & Higgins we not only have experience defending dui cases, we have experience defending underage drinkers accused of dui. Do not wait! Call us now at 813-200-4412 to discuss your options. Let us help you fight your case today! !